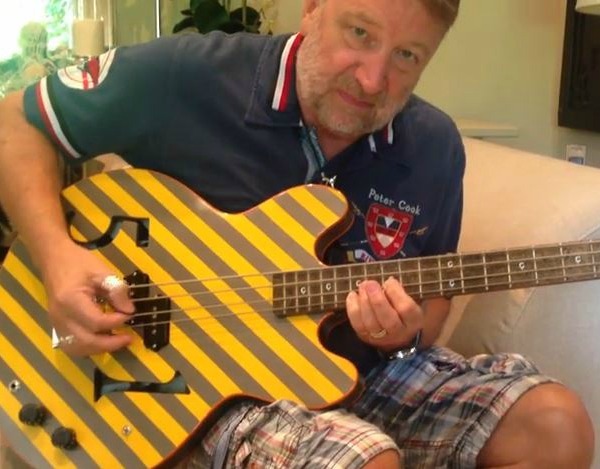 It’s not quite as satisfying as watching him school an interviewer on how to play “Love Will Tear Us Apart,” but bassist Peter Hook has just posted a new video in which he demonstrates how to play “Ceremony,” the song that famously morphed from one of Joy Division’s last compositions to New Order’s first single following Ian Curtis’ suicide. As you can see below, Hook works his way through the song on an unplugged bass, demonstrating just how it’s done. Plus, if you stick around to the end, you’ll get a brief tutorial on “She’s Lost Control” as well. Hook returns to the U.S. next month for an 11-date tour on which he’ll perform New Order’s first two albums, 1981′s Movement and 1983′s Power, Corruptions & Lies, in their entirety each night. Hook is 1 of several reasons why I became interested in playing bass guitar when I picked it up in the 90s!! Nothing like a how to direct from the artist himself. Wonder how many times he’s played that song? Thanks, Hooky & S.U.E. I never really paid much attention to where the sounds were coming from (ie which instruments) but as I see these videos it is apparent that the bass is used more interestingly than what you hear from most pop/rock bands. It’s really cool.